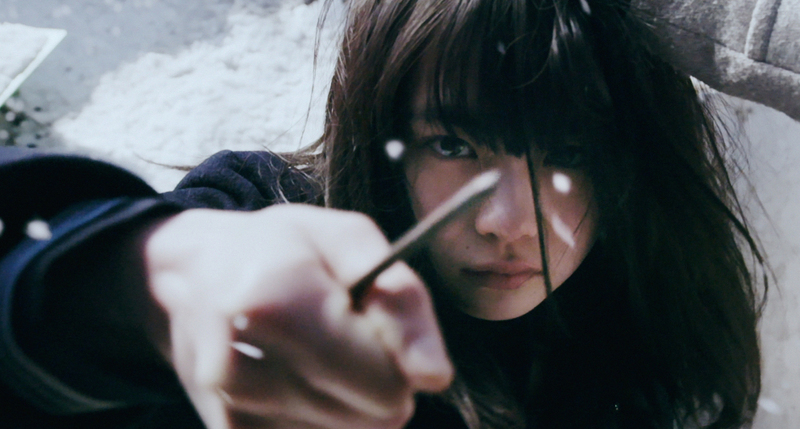 From “Battle Royale” to “The World of Kanako,” the past 20 years of Japanese cinema have yielded countless examples of school kids behaving very, very badly. Director Eisuke Naito is a specialist in the genre: He started his career with the charmingly titled “Let’s Make the Teacher Have a Miscarriage Club,” and subsequent films like “Puzzle” and “Litchi Hikari Club” have delighted in the antics of adolescent sociopaths. 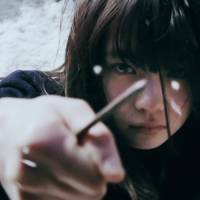 In “Liverleaf,” there’s a whole gang of them: pupils at a rural middle school on the brink of closure, who’ve been finding ever more vicious ways to torment a recently arrived transfer student, Haruka (Anna Yamada). The bullies are keen to curry favor with the class’s honey-blonde queen bee, Taeko (Rinka Otani), who was briefly friends with the new arrival, but now affects a bored disdain while tacitly encouraging her abusers. Haruka’s sole friend is another transfer student, Mitsuru Aiba (Hiroya Shimizu). A handsome loner, he spends his free time photographing the local flora, including the eponymous liverleaf — a hardy wildflower that endures the winter snows and blooms with the arrival of spring. Whether any of the class will still be alive by then, though, is another question. This lurid nonsense — as if it wasn’t obvious by now — is adapted from a manga. Rensuke Oshikiri’s “Liverleaf” (known as “Misu Misou” in Japanese) was a relentlessly bleak tale that seems to have acquired a cult reputation mostly by virtue of its nastiness. Working from a script by Miako Tadano, Naito sticks closely to the original story, though occasionally allows a glimmer of humanity to penetrate the stifling, stylized gloom. He shows particular fidelity in depicting the various ways characters are stabbed, sliced and shot, which tells you a lot about the audience that he’s trying to satisfy here. To describe the film’s violence as cartoonish would probably be taken as a compliment. There’s a palpable joy in the schlocky prosthetics and cascades of blood, and they’re the closest “Liverleaf” gets to demonstrating a sense of humor. Oshikiri’s manga wasn’t the most nuanced tale to begin with, and Naito’s cast occasionally transcends the thinly defined characters. Rena Otsuka is a standout as Rumi, a victimized student who joins — and dramatically escalates — the bullying campaign in order to avoid becoming a target herself. Though her early scenes are overly mannered, Otsuka succeeds in humanizing a character that in the original was little more than a grotesque. The film also presents Taeko in a slightly more sympathetic light, suggesting that there may have been a different way of telling the story, focusing more on the relationship between Haruka and the architect of her misery. A hushed, dreamlike sequence in which Taeko rides the bus while quietly singing along to a CD “borrowed” from her former friend’s collection lingers longer than any of the film’s bloodbaths. This is one manga adaptation that would have benefitted from taking greater liberties with its source material. “Liverleaf” is Naito’s most technically accomplished work to date, but it could’ve used a little more soul.